Brief Description of Subject: Rev. 12:7-9 "Then war broke out in heaven. 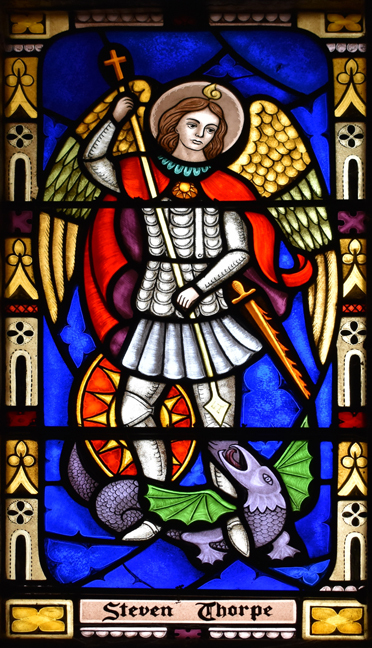 Michael and his angels fought against the dragon, and the dragon and his angels fought back. But he was not strong enough, and they lost their place in heaven. The great dragon was hurled down --- that ancient serpent called the devil, or Satan, who leads the world astray. He was hurled to the earth, and his angels with him. 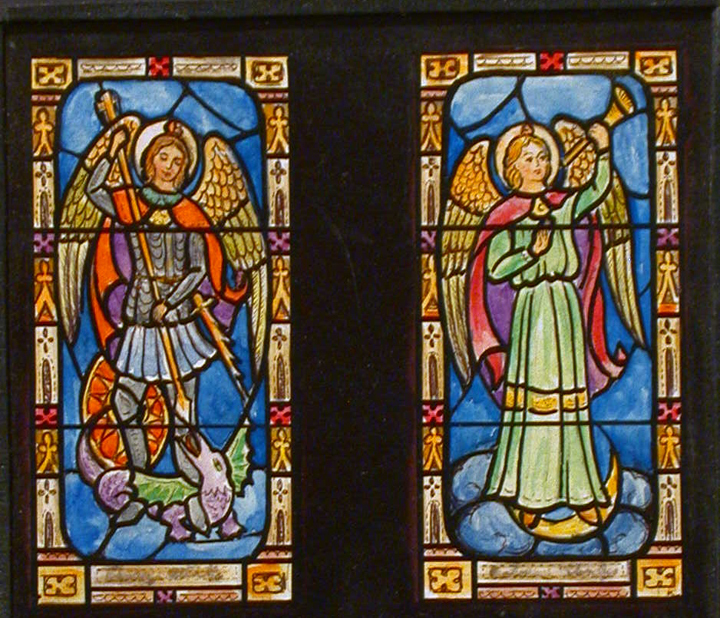 This window was designed by Karole Kissack.